The automaker has initiated a multiplayer racing game on a virtual track across premium malls in five cities to create buzz around its forthcoming BMW 1 Series. 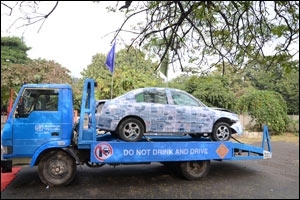 To create buzz around the forthcoming BMW 1 Series, the Indian arm of the German carmaker came up with an integrated campaign that involved on ground, mobile, web and social media. Titled BMW 1 Series Drive Dynamic Challenge, the multiplayer racing game was carried out on virtual racing tracks set up at several malls across cities. The participants could drive virtual BMW 1 Series using iPads on these tracks. They could speed up, stop or reverse their cars using the iPads. Apart from winning and clearing levels, the challenge was to ensure that the car does not stray out of the racing track. The activation took place on weekends in five cities (Delhi, Mumbai, Ahmedabad, Pune and Bengaluru) in premium malls. The scores of the participants were then put up on the Facebook application. People could see their scores along with others who participated from different locations where this activity was held. The participants were awarded BMW goodies. 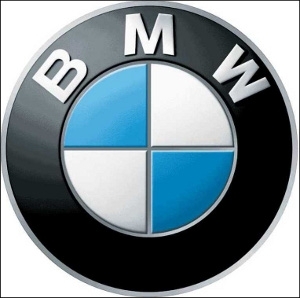 "We aimed to create substantial product awareness and curiosity amongst the target customer group," says Philipp von Sahr, president, BMW Group India. "All these activities educated and increased awareness about the driving dynamic capabilities of the car," adds Sahr. Over 2,000 people played the game on ground and shared their scores/pictures/experiences online, which further helped the company reach out to a considerable number of over 200,000 people online. The BMW India Facebook page has more than 2 million fans. The target audience for the campaign was the modern, progressive, young and dynamic Indian in the age group of 18-35 years, predominantly from Tier 1 and Tier 2 cities. In addition, the automaker wanted to reach out to the existing Rs 10-15 lakh segment car owners who aspire to own a BMW. Speaking about choosing racing as the theme for the activity, Sahr says that where there is a BMW, there is a track and there is sheer driving pleasure. "The idea was to give a preview of the dynamic driving capabilities of the all-new BMW 1 Series, which in its segment is the only car to offer the rear wheel drive, 50:50 weight distribution providing superior agility and greater balance on road. It is also the only car in its segment to achieve a top speed of 212 km/h. Through the racing game, we wanted to showcase the capabilities of the all-new BMW 1 Series and let everyone know that THE DYNAMIC 1 is coming soon to change the way they drive," adds Sahr. The game was designed by Karmatech, which was given a brief to be new, interactive and innovative. They created an iPad application for IOS platform and synched it with the game, BMW 1 Series Drive Dynamic Challenge. The application could detect and measure the movement of the iPad that was being used as the steering wheel by the people and reflect the same movement in the car, real time on the race track. Sahr adds that the aim was to create conversations on social media and utilise its power to create a viral effect through this initiative. The car will be launched around September 2013 and is expected to be priced at Rs 20-25 lakh. The brand adds that every person who played the game could be a potential buyer for it, maybe not now but in the next five or ten years. This on ground activity was an extension of the Dynamic 1 campaign that began in June with 'The DYNAMIC 1 Experience contest' which gave 10 lucky winners an opportunity to drive the all-new BMW 1 Series with Sachin Tendulkar and Armaan Ebrahim at the BMW Driving Academy in Maisach, Germany. In addition to the exclusive opportunity to interact with these stalwarts, the winners also received an exciting BMW brand experience including a visit to the BMW Museum, BMW Welt and the BMW Plant in Munich, Germany. More than 15,000 registered for the contest within two weeks. 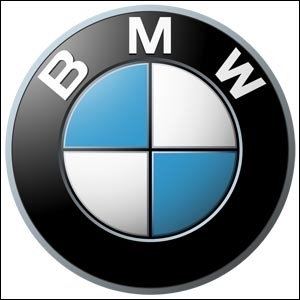 BMW has been operational in India since 2006 and offers several models for the Indian roads such as BMW 3 Series, BMW 5 Series, and others. The automaker is positioning its new car as 'THE DYNAMIC 1' attributing it to its dynamic nature and capabilities.